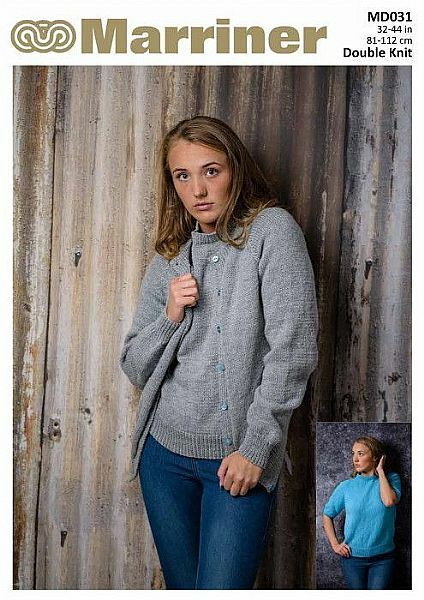 This raglan jumper and matching cardigan is the perfect casual set or endlessly versatile as two separates. Hooks required 1 pair size 3¼ mm (No 10) and 1 pair size 4 mm (No. 8) Marriner knitting needles or the size of needles to give correct tension. Stitch holders. 7 buttons for cardigan.